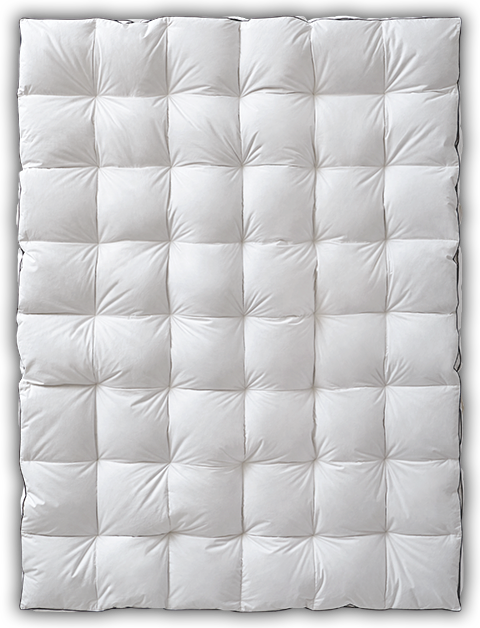 Sleep like a baby on our fluffy Hyperclean® feather bed mattress topper topped with an extra layer of super soft down. The two chamber design features a 3” gusset or fabric wall, ensuring maximum loft so your entire bed is nothing short of heavenly. Two are definitely better than one especially when you’re enjoying the dreamy comfort of our dual chamber, Down on Top Feather Bed. Sink in to the 525 fill power Hyperclean® down filled top chamber and feel the cushioning support of the Resilia™ feather-filled bottom chamber below. The cover is durable 230 thread count, 100% cotton with a generous 3” gusset so no matter where you are on your bed you’ll enjoy the inviting softness of this premium bed topper. We’ve added easy care handles so you can fluff and refresh as needed. Our Pacific Coast® down filled top chamber is designed to provide cloud-like comfort and an extra layer of luxury while the bottom Resilia™ feather-filled bottom chamber below assures you resilient cushioning support. Down is the soft insulating material found on the breast of geese and ducks. Unlike feathers that have a quill, down has no hard elements. Considered one of Mother Nature's best insulators, a down ""cluster"" is a light and fluffy 3-dimensional spherical puff with multiple filaments that expand to trap air - giving down bedding its signature loft and cozy, embracing warmth. When used in comforters, down allows air to circulate around you, allowing you to sleep more comfortably and soundly. When used in pillows, down provides soft adjustable comfort that confirms to your changing sleep positions.